As with any journey, transitioning to from relaxed to natural presents its own unique challenges. While everyone’s experiences are different, it can be helpful to see how others have navigated through the process. It’s been a little over 5 years since I transitioned, but I can remember a time when I was struggling to figure out what to do with 2 different textures on my hair. I often hear; “I tried the natural thing for a minute and it didn’t work.” I’m a believer in the fact that everyone shouldn’t do the same thing but I’m also a believer that God didn’t make any mistakes when creating you as you are naturally. So if you’re considering going natural or already in the process, check out these 5 mistakes to avoid. I know when I was transitioning; I would sometimes flat iron my hair multiple times a day to blend the two textures. That is the one thing I regret not knowing prior to starting this journey. Overuse of heat can and will ruin your curl pattern and damage your hair. Try blending the two textures with styles such as twist outs and bantu knots and just use a roller to twist the ends of your hair that may still be straight. Many women feel that their hair growth has come to complete halt. I’ve said this many time before but the fact is, unless you have a medical condition, your hair is always growing but you may not be retaining what you’ve grown. In other words, just as fast as it grows, it breaks, creating the illusion of stunted growth. Because our strands have twists, bends and curls, it’s much harder for the natural oil, sebum, to travel the entire length of the hair shaft from root to tip. Remember the only form of moisture that exist is water. 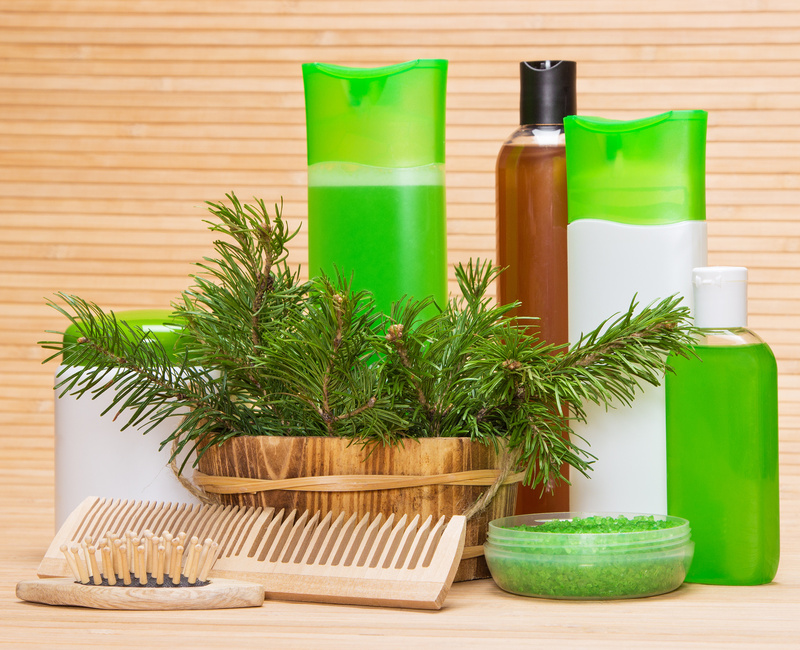 So be sure to apply a leave-in or oil on your hair every few days or as your hair needs it, paying special attention to the ends (oldest part of your hair). Hair that is properly moisturized will have a nice elasticity to it and will be less likely to break, thereby allowing you to retain what you grow. Those whose hair may have low porosity may need extra help with steam or products that will help open up the cuticle to allow moisture in. Be sure you’re drinking plenty of water and limit your fast/junk food intake. If you eat nothing but junk, your hair/scalp is gonna reflect that. Water plus a balanced diet that includes fruits and vegetables will help your hair to thrive. 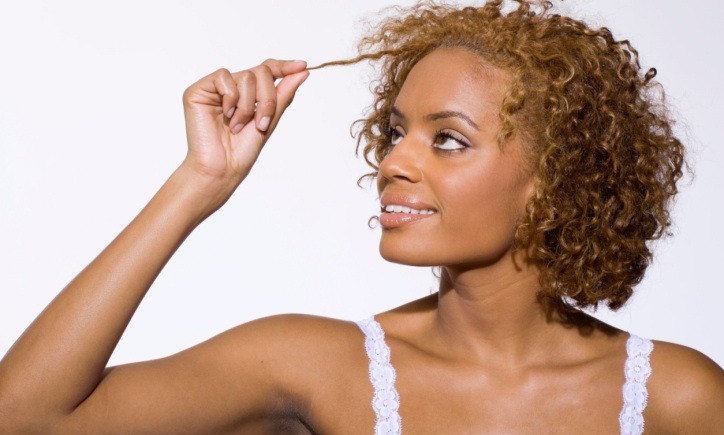 Porosity is a measure of how easily water and other substances can enter and exit the hair strand. 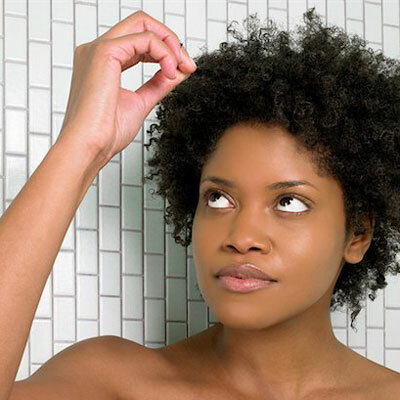 Low porosity hair is hydrophobic, which means it repels water from the surface. This type of hair results in flat, tightly sealed cuticles that is more resistant to moisture loss and absorption. Knowing your hair’s porosity will help you make better product purchasing decisions and adjust your regimen accordingly. To determine your porosity, gently pull a strand of your hair (maybe more strands if you have multiple textures) and drop it in a glass of water. If it floats to the top then you have low porosity curls, if it sinks to the bottom of the glass then you have high porosity hair and if it stays in the middle then your hair is considered regular. Many naturals have a problem with keeping their hair moisturized and trying to maintain a particular hairstyle for more than one day. For those with normal to high porosity hair (your hair quickly absorbs moisture) the LOC method may be the solution for you. L.O.C simply means Liquid, Oil and Cream. This shows the order of application of products to maximize moisture retention. First apply a liquid (water or water based leave-in conditioner), then seal in with any oil and then apply your hair cream/butter/pudding/styler. Both oil and butter are praised for their ability to create a layer along the hair shaft that helps to prevent water from being evaporated in the atmosphere. The layer of moisture is effectively sealed in by two products which are both known to be excellent sealants: oil and butter. This should help with keeping your wash ‘n go or style for at least 2-3 days. Now you may be going back to science class in grade school and thinking that oil and water don’t mix. That’s still true and if you aren’t using oils that penetrate the hair its best to use your cream before your oil or LCO Method. But certain natural oils have the ability to penetrate the hair shaft and bind with the hair internal structure or protein. These oils are coconut and olive oil. Make sure you try it out for at least three wash sessions before deciding if it works. If you’re trying out the LOC method, let me know how it works for you in the comment section below or use the hashtag #VeggieCurls on social media.